Imagine being a child and growing up in a Greek town where each neighbourhood had its butcher, fishmonger, greengrocer… Greekosophy has been created to bring together that combination of delicious Greek food, made from fresh, mostly organic ingredients, to support the local producers and community! Greekosophy is not just about good Greek food. It’s about experiences. 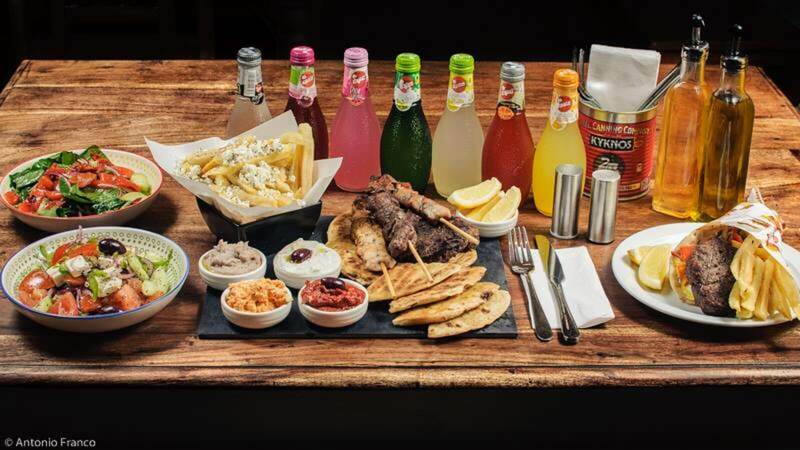 Enjoy a completely unique concept of delicious homemade Greek street food! Think grass fed pork and chicken skewers, drizzled in organic extra virgin olive oil and sprinkled with organic wild oregano. Their Greek Souvlakis have proven very popular with the locals! 1 Card Per Table. All alcoholic drinks excluded.